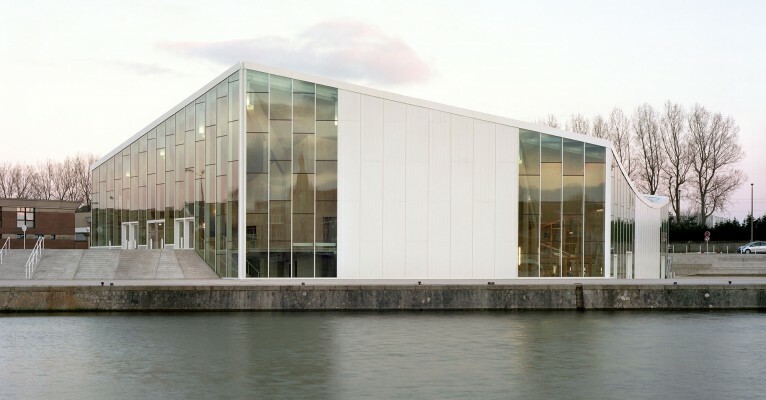 The project consists in the construction of a sports facility with a hexagonal plan on Quai de la Moselle in Calais. 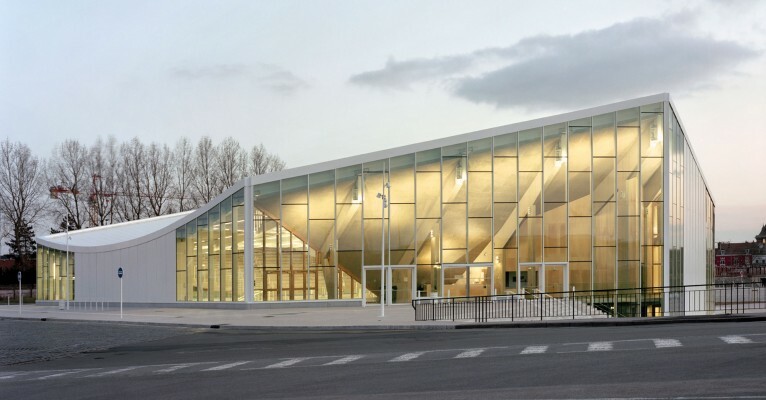 The project’s hexagonal form reflects the municipality’s outward-looking attitude. 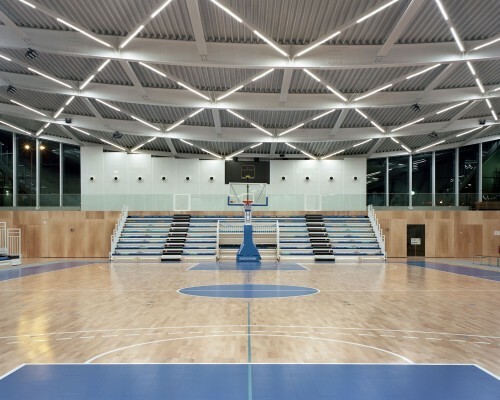 The facility houses a basketball pitch flanked by two reinforced concrete terraces to the north and south. The terraces take advantage of the site’s existing topography by resting directly on the terrain’s lower level. The main entrance is on the ground floor of the southeast facade. 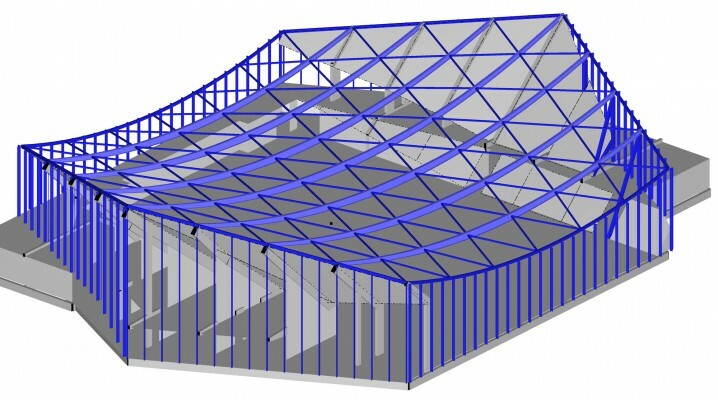 The changing rooms, technical areas and lecture space are on levels 1 and 0 beneath the terraces. Like a sail, the roof is maintained taut by cables anchored in the facades of the terraces. This suspended catenary structure has spans varying from 32m to 68m. 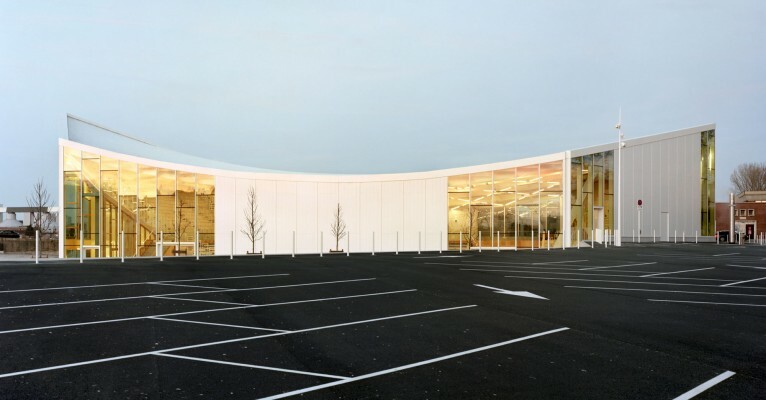 Thus freed from all constraints, the facades are transparent and open to the exterior.